After de-regulation of the former state-owned railways and severe restructuring of the railway industry in the last 15 years, more innovative vehicle concepts saw the light of the day. Power electronics, already formerly being a pacemaker for progress of traction vehicles, brought forth an utmost standardization of the main drive by means of the IGBT-converter-fed induction motor drive. This is independent of the railway supply voltage system or of a diesel prime mover, for locomotives, high-speed and mass-transit trains as well as for tramways. Vehicles able to operate on all four European railway voltage systems have become feasible and are used now widely. New trends as Permanent-Magnet Synchronous Motors or Medium-Frequency Transformers are discussed, and a short overlook over actual field-oriented high-performance motor control systems - including a speed-sensorless variant - is given. Power electronics dominates the field of conversion of the 16.7-Hz railway supply power, typical for Central Europe, from the 50-Hz three-phase utility grid. Schurig, J., Die Mehrsystem-Lokomotive ES 64 U4 (OBB-Reihe 1216). Eisenbahn-Revue 5/2005, pp. 220-228, 6/2005, pp. 268-274 and 7/2005, pp. 333-335. Moller, D., Schlegel, C., Velaro, "Further Development of the ICE for Worldwide Use," Elektrische Bahnen 104 (2006), Nr. 5, pp. 258-263. *** , Funf Jahre OPNV-Niederflur-Schienenfahrzeuge. Stadtverkehr - Fachzeitschrift fur den offentlichen Personen-Nahverkehr, spezial 1993. EK-Verlag Freiburg, 1993. 120 - Elektrische Lokomotive in Drehstromtechnik der Deutschen Bundesbahn," Special print of journal "Elektrische Bahnen". R. Oldenbourg Verlag GmbH, Munich, 1984. 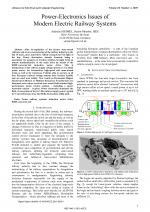 Bakran, M. M., Eckel, H.-G., "Traction Converter with 6.5kV IGBT modules," 9th Europ. Conf. on Power Electronics, Graz 2001. Worner, K., Steimel, A., Hoffmann, F., "Highly Dynamic Stator Flux Track Length Control for High Power IGBT Inverter Traction Drives," 8th Europ. Conf. on Power Electronics and Applications (EPE), Lausanne 1999. 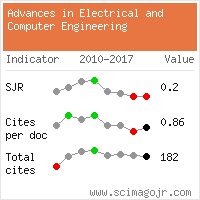 Citations for references updated on 2019-04-18 21:03 in 30 seconds.